We offer a wide variety of both structural columns and 2 piece wraps/covers with the most extensive warranties in the industry. Available materials are shown below and include composite/fiberglass, aluminum, wood, and Durastone. 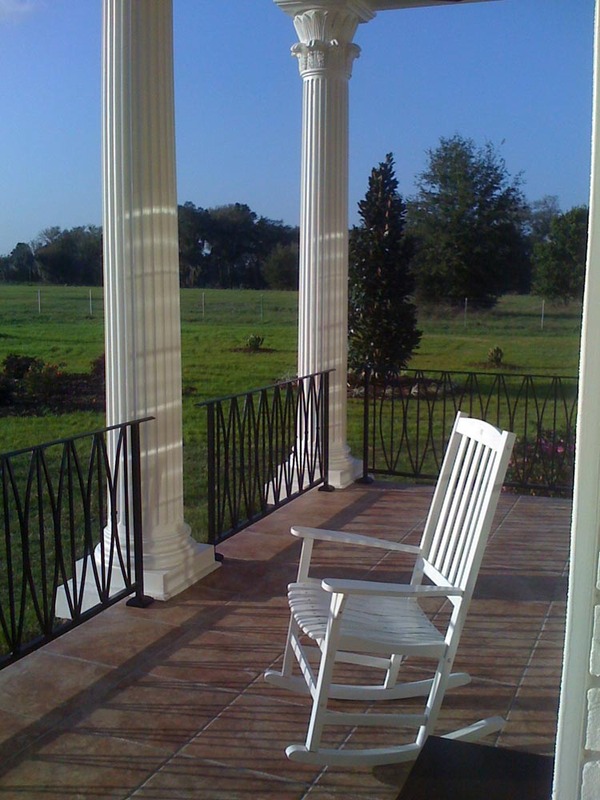 Columns & Carvings offers both paint-grade & stain-grade wood columns. 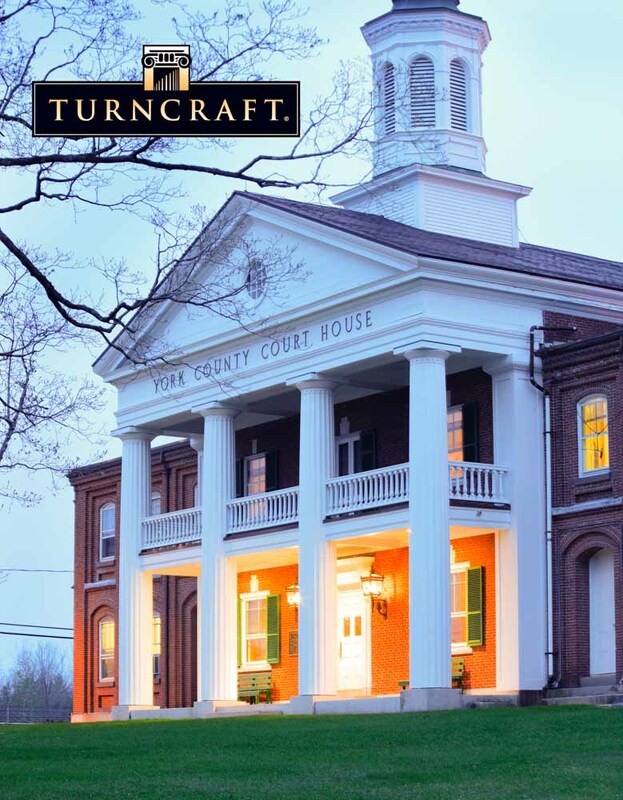 Paint-grade wood columns are manufactured from finger-joint pine in your choice of a smooth or fluted shaft, in a tapered or straight design with your choice of urethane cap/base sets (recommended for exterior use) or matching wood sets for interior application. These columns range in size from 6”x8’ to 24”x24’ and can be provided with factory applied priming/asphaltum to be used outdoors if desired. 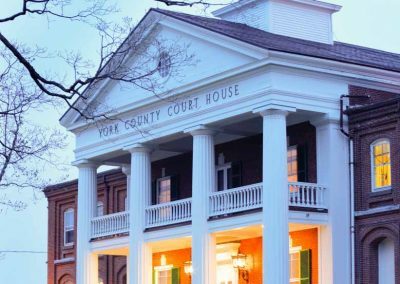 Wood columns can also be purchased in the architecturally correct “orders” including Tuscan, Doric, Ionic, and Corinthian. 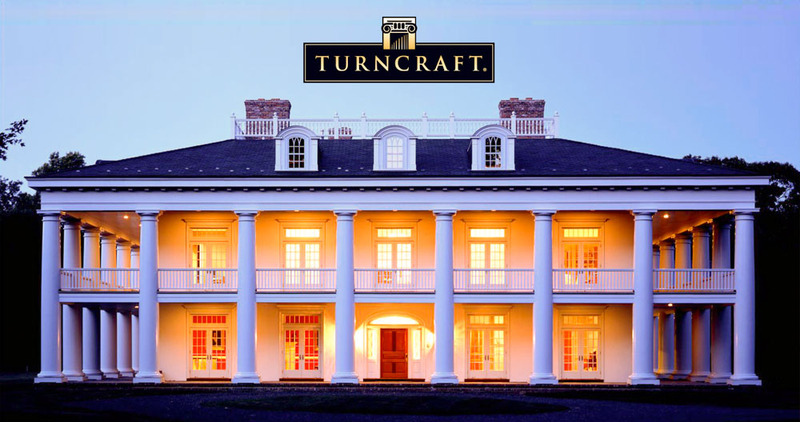 Our stain-grade columns are meant for interior use and are crafted from the finest woods including, but not limited to, poplar, red-oak, hard-maple, mahogany, cherry, alder, walnut, and pine. 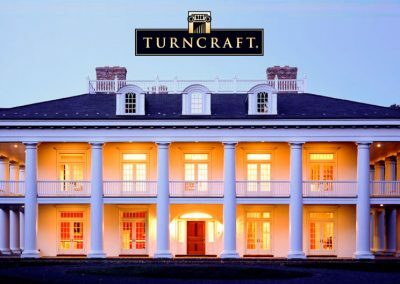 We can even custom MATCH/REPLICATE your existing wood column/posts, balusters, railings, etc… We can literally custom make/turn almost any design you want/need so feel free to call or email us with the details of your custom wood project and we will be more than happy to assist you with your next/current project. 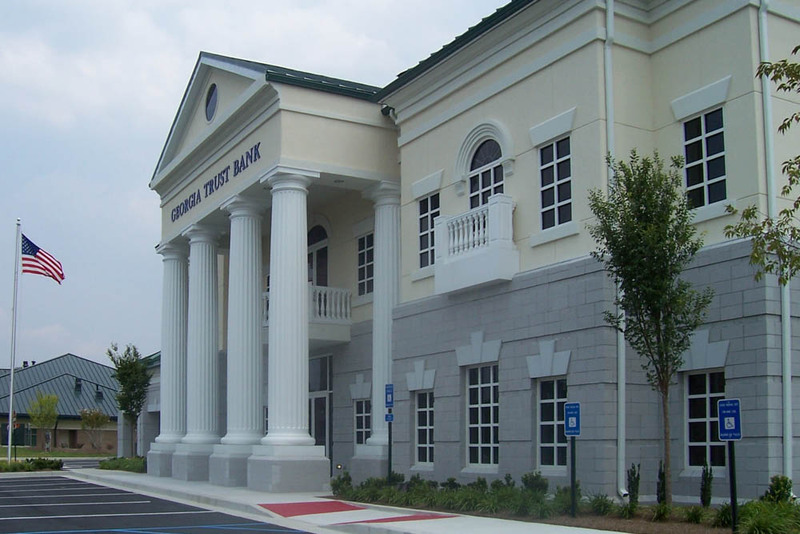 Fiberglass columns offer an attractive look that is comparable to wood but more impact-resistant/durable than wood, yet without all the future painting/maintenance one encounters with wood products. 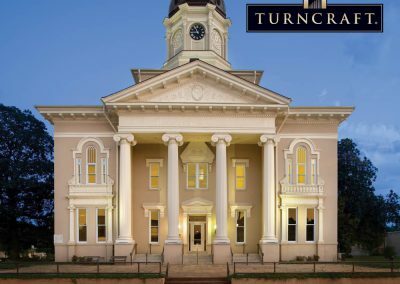 Available in both round and square shapes from Columns and Carvings, our smooth round and fluted fiberglass columns are manufactured with true architectural entasis and are strong enough to serve as structural, load-bearing columns. They can also be ordered split in 2 pcs. to serve as a “cover” or “wrap” to be put back together around an existing support post. Columns and Carvings’ fiberglass columns are available in sizes ranging from 6”x4’ to 36”x30’. 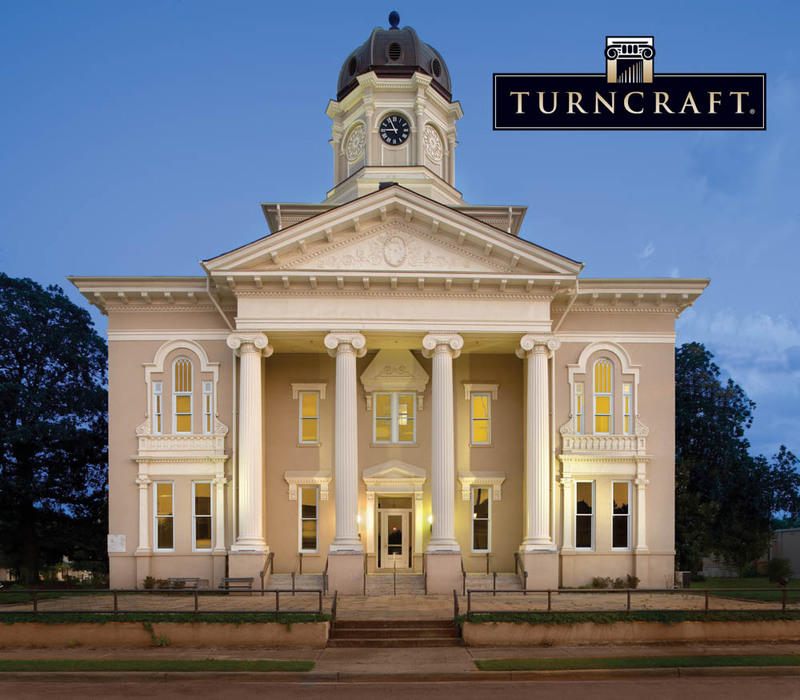 An extensive line of decorative capitals and bases are also available to top off your fiberglass round or square columns. More impact resistant than wood. Best price fiberglass column in the industry. Impervious to moisture in humid and/or ocean climates. 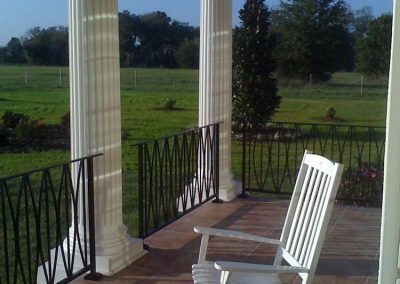 Columns & Carvings offers a wide selection of aluminum column sizes and styles. These aluminum columns are available as structural/load bearing columns or as wraps to surround existing posts. 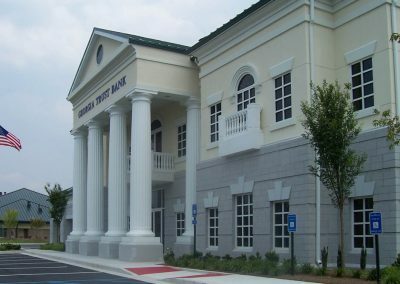 Aluminum columns are widely used on both commercial and residential projects due to their low cost and low maintenance. 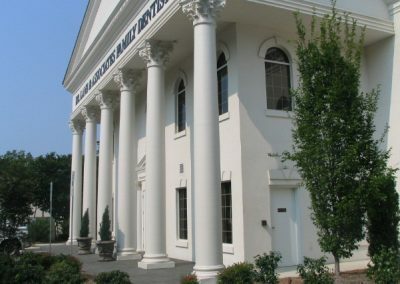 These columns are electrostatically coated with a baked on high-solids polyesther paint, to give a maintenance free, uniform finish with a lifetime product warranty. AVAILABLE PREFINISHED IN WHITE, ALMOND, SANDSTONE, OR PRIMED (TO BE FINISHED BY “OTHERS”). Columns & Carvings offers complete selection of Durastone columns. Our Durastone columns are manufactured using a combination of high-end polymer resin, fine limestone dust and pigment, resulting in a finished product that is durable, STRUCTURAL, dependable, virtually maintenance free and FULLY PERMEATED WITH THE DESIRED COLOR CHOSEN (the color is not applied to the surface of the column but, instead, is throughout the material so if the column is every chipped/cracked in any way, the same color is shown throughout the column shaft, cap, and base). 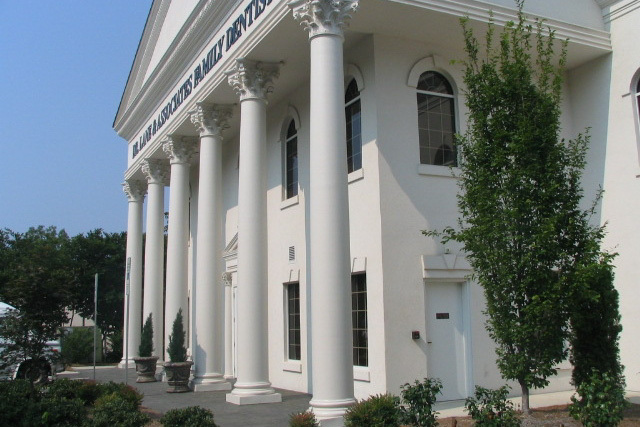 Even though the Durastone is less than ½ the weight of comparative true stone or concrete columns, our columns provide similar tensile strength and aesthetic appeal but with QUICKER LEAD TIMES AND AT A LESSER COST THAN STONE AND/OR CONCRETE. The columns surpass all of the BOCA codes and meet all standard local codes across the U.S.A. The water absorption rate of the Durastone columns is less than .001%, thereby reducing the propensity to crack during climatic changes and resulting in a virtually stain-free product.